They say there is a book inside everyone just waiting to come out. Maybe so. But for pharmacist Lance T Carney the wait is over. His book, Ripped Tide, an adventure novel featuring a pharmacist by the name of Daniel O’Dwyer is now available for readers everywhere! I had the great honor of getting to talk with Lance (via email) about his new book and about his work as a pharmacist and an author. I’m delighted to have the opportunity to share his book with my readers and encourage you to pick up a copy at Amazon for some enjoyable summer reading! Sit back, put your feet up and let’s have a chat with Lance. By the way…if you are a pharmacist, doctor, nurse or other healthcare provider and have written a book you want to share, contact me about doing an interview here at The Honest Apothecary! Lance, thanks for stopping by here at The Honest Apothecary. 1. Can you tell my readers a bit about yourself (family, where you live) and your career as a pharmacist? I live in West Virginia with my wife, Kathy. We have two children, Ryan and Jillian, attending out-of-state universities. I graduated from West Virginia University in 1984 and was hired at my hospital before I had my pharmacy license. After about two years the Director of Pharmacy left for greener pastures and the administrator offered the job to me. I thought I probably wouldn’t get the chance again so I took it. That was 30 years ago and I still don’t know if it is what I want to be when I grow up. 2. Why did you pursue pharmacy? My father was a pharmacist and I grew up running around different retail pharmacies in and around my home town. After I had my first rotation in a hospital pharmacy though, I knew that was the path I wanted to take. 3. What are your goals professionally as a pharmacist? I have seen a lot of changes in pharmacy in the last 32 years (when I started there wasn’t a computer in sight). 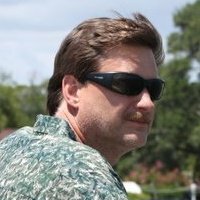 My main goal has been patient safety; the best projects I have worked on include implementing electronic medication administration records, bedside barcode scanning and computerized physician order entry. Our hospital system is now working to align with the ASHP 2015 Pharmacy Practice Model Initiative and further deploy pharmacists to patient care areas. 4. When did the interest in writing begin and how did that develop? My interest in writing really began with my love of reading. In the late 80’s I was reading a lot of Stephen King and my first short story came out horror (of course the main character was a pharmacist). A short time later I had an interesting conversation with a good friend (“I wrote a short story.” “No way! I wrote a short story, too!”) After that we wrote short stories separately and together, submitting them to small press magazines. Many rejection letters later, we were actually fairly successful at placing short stories in small press magazines throughout the 90’s. 5. Tell us about your most recent book. What is the title and what is it about? 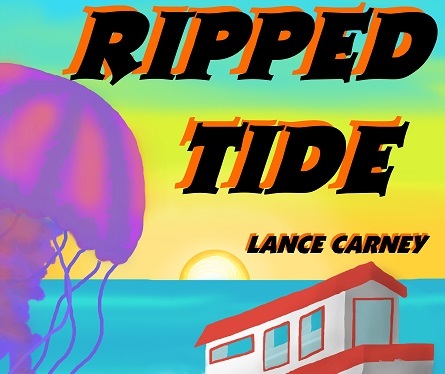 “Ripped Tide: A Daniel O’Dwyer Oak Island Adventure” is told through the eyes of a hospital pharmacist who relocates to Oak Island, North Carolina after the death of his fiancée due to medical errors. Daniel wants nothing more than to avoid any type of healthcare institution but fate and jellyfish draw him back and reluctantly he agrees to go undercover to combat narcotic drug diversion at the nearby hospital. It is a humorous take on a very serious issue. One reviewer compared the writing style to Carl Hiaasen and another tagged it “Rx, Drugs and Rock n’ Roll”. 6. How long did it take you to write this book and what was the hardest part? The whole process took about a year, writing after work, on weekends, even on vacation. I recently answered a reader’s question about how close I am to publishing my next book by telling him I’m in the “editing/love/hate/gonna puke if I have to read it one more time” phase. That’s the hardest part. 7. How did you actually go about getting it published? I self-published the e-book on Amazon. I bought “Publishing E-Books for Dummies” and followed all the steps, originally publishing a collection of our short stories on Amazon. 8. Have you written anything else or is there another book in the works? The next book “No Egrets: A Glenn and Glenda Oak Island Mystery” will be a humorous medical mystery with new characters and a few crossovers (our pharmacist hero included). It should be available in August or September 2016. The short story collection “Fin and Tonic; Talon and Tombstone” is available now on Amazon. 9. Where can my readers go to buy your book? The book is available through Amazon in the US for $2.99 or in the UK through amazon.co.uk for £1.99 for Kindle or the Kindle app on tablet/smart phone. It is also available to read for free on Kindle Unlimited. 10. What advice would you give to a pharmacist who feels like they also have a book to write, but they just don’t know where to begin? It is cliché, but read, read, read. Read great books and read bad books-both will teach you how to write (and how not to write). I have met many author friends on social media and most of them are involved with writing clubs or groups, but with a full-time pharmacy career I’ve never had time to go that route plus have time to write. But the best advice I have is just do it. Start with a short story and learn the craft. After many short stories I always knew I would write a novel someday but I thought it would be after I retired. Then my children went to college, I suddenly had spare time on my hands and one day I just started writing the first chapter. And “Ripped Tide” and pharmacist Daniel O’Dwyer were born. I want to thank Lance for taking the time to chat with us here at The Honest Apothecary. I hope my readers will check out his book and join in the adventure of following pharmacist Daniel O’Dwyer in the upcoming novel as well! 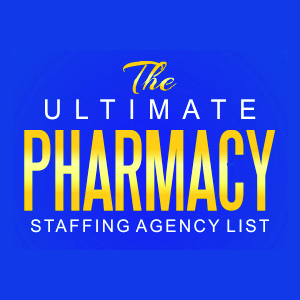 Can You Balance a Pharmacy Career With Quality of Life?